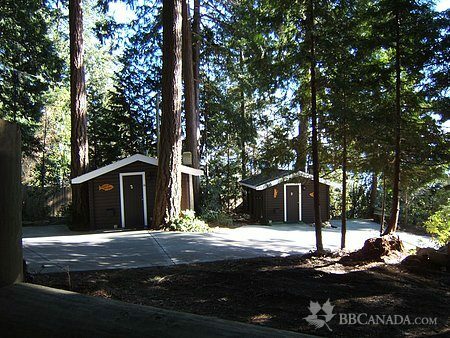 Clean and comfortable log cottages nestled in the woods on spectacular oceanfront property; easy beach access. Watch cruise ships or enjoy beach firepit. 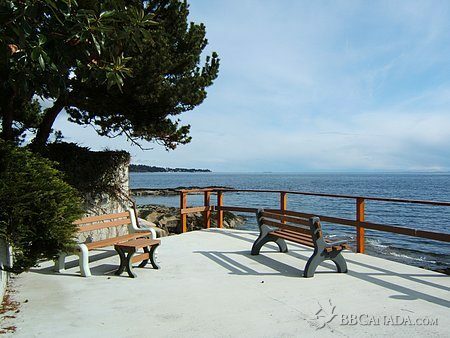 Perfect site for informal beach weddings or family reunions. 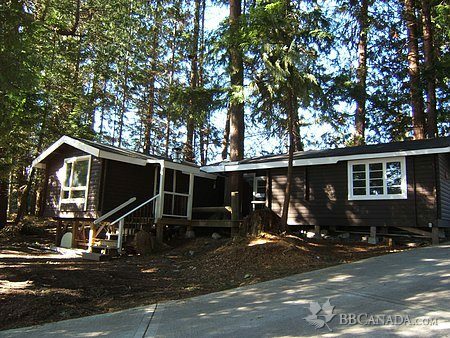 Large self-contained Cottage #1 with new gas fireplace & wall heater, new kitchen and deck, WiFi, Big screen Telus Optik HDTV/VCR/DVD, spacious living room with extra beds (sleeps 8), new bathroom, new picture windows with screens. 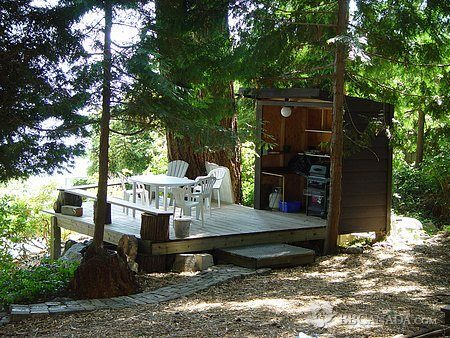 Cosy log cottages #2 and #3 (Queen beds), kitchenette, new fridge, private bathroom (new), WiFi, Optik HDTV/VCR/DVD, ocean view, suitable for romantic getaways, Baby OK. Cottages are 12' x 23' and are larger inside than they appear in the exterior photo. Cottages are equipped for self-catering (dishes, pots, utensils, hot plate, microwave, etc.). BBQ deck. Towels, bed linens and some breakfast basics provided (coffee, tea, hot chocolate); children welcome; NO pets! 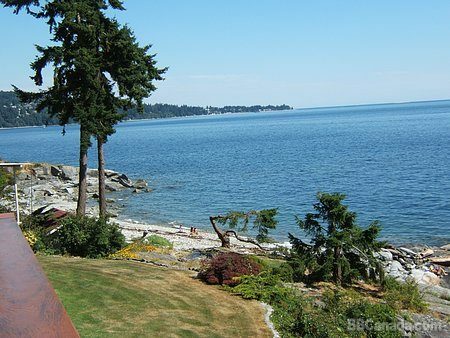 BC Tourism APPROVED ACCOMMODATION (www.HelloBC.com); Click on Bedroom Tab to see CALENDAR of available nights. Send an email request for a reservation (need VISA or M/C to confirm), or reserve online at airbnb.com (lots of great reviews on this site).